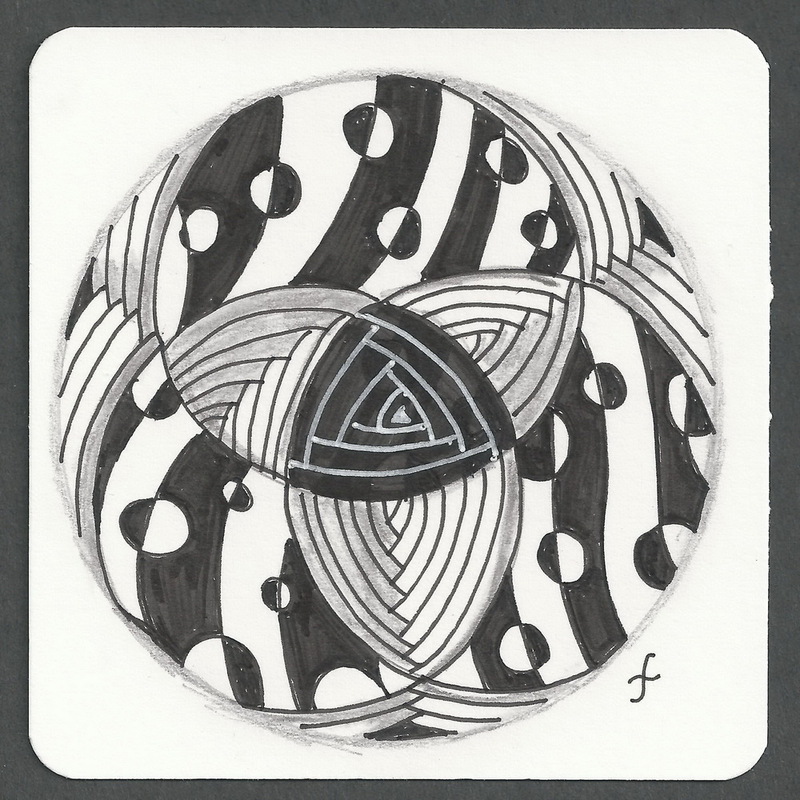 This week's challenge from the Diva, is to use the tangles *Stircle* and *Hybrid* in a zentangle! I grabbed a couple glasses from the cupboard to make a round string, using the smaller glass to make the three overlapping circles. It was fun to work in the round. Thank you Laura for another Duo-tangle Challenge. Very cool. I love the center design your overlapping circles made. I agree! This is such a clever idea and very well executed. Love how you made your string and how great these two tangles look in the round. Nice work! Fun idea! I am enjoying the effect of the hybrid merging in the center! Great tile, great idea to use overlapping circles, and I also like the way the hybrid meets in the centre. I like how you did the overlapping and the center part.